Passion is for amateurs. It’s a strong, fiery, barely controllable emotion. It’s a rush, a high that burns hot and fades out just as quickly. Purpose is for professionals. It’s the reason you exist. It’s unwavering, sustainable, and requires dedication, perseverance, and skill. It exists deep within you and can’t be avoided, no matter how hard you try. Your passion is something you pursue to please yourself. It’s selfish. Your purpose is something you pursue despite yourself. It’s selfless. You can be passionate about your purpose. But just because you’re passionate about something doesn’t mean it’s your purpose. For example, children crying for their toy are passionate; they’re exhibiting a strong, fiery, barely controllable emotion. To manifest greatness, we must evolve from being driven by unbridled, self-serving emotion to being driven by unwavering, selfless dedication. Purpose-driven individuals and organizations harness, control, and focus the power of their emotion toward a long-term goal. Sweetgreen is a purpose-driven organization that is passionate about what it does. Its founders and company “exist to create experiences where passion and purpose come together.” While sweetgreen specializes in serving healthy salads and grain bowls, there are dozens of salad and health food restaurants in the modern market. It is sweetgreen’s commitment to their higher purpose that sets them apart. Through this purpose, sweetgreen has become more than a restaurant; it’s become a movement and a community, one that people are so proud to be a part of that they share it on their social feeds and wear their logo-emblazoned T-shirts. The founders, Jonathan Neman, Nicolas Jammet, and Nathaniel Ru, remain committed to their differentiating core values, such as “creating solutions where the company wins, the customer wins, and the community wins,” and have used those values, rooted in their purpose, to drive the company forward. This has led them to make choices that weren’t always best on a short-term financial basis but was best for the business and its stakeholders long term. For example, when their second store in Washington D.C. wasn’t performing well, the founders purchased a giant speaker, placed it outside, facing the park, and threw a block party. They played great music while handing out menus and building relationships with community members. 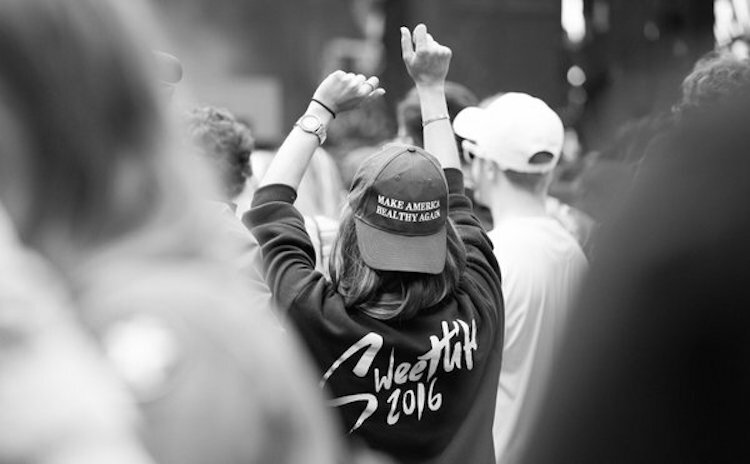 This approach, driven by sharing their passions for food and music with their community, eventually turned into the Sweetlife Festival, an annual multiday concert. Last year’s festival was attended by twenty thousand sweetgreen devotees and, even better, all the proceeds went to benefit their “sweetgreen in schools program,” which teaches local kids about health, fitness, and sustainability. The crowds aren’t coming to sweetgreen stores and the Sweetlife Festival JUST because they make great salads or have cool music acts. They’re coming because they buy into what sweetgreen stands for, what sweetgreen believes, and, at a deeper level, they see a reflection of themselves in sweetgreen’s purpose. While there have been countless “salad restaurants” created by passionate individuals, sweetgreen is a movement, and movements can only be ignited when there is a shared purpose between an entity and the community they serve.